When we were waiting for Lola to be old enough to bring her home, we didn’t even think about getting a crate for her, it just didn’t cross our minds. It was only when the breeder mentioned it in conversation that we looked into it, and we are so glad we did two years on. 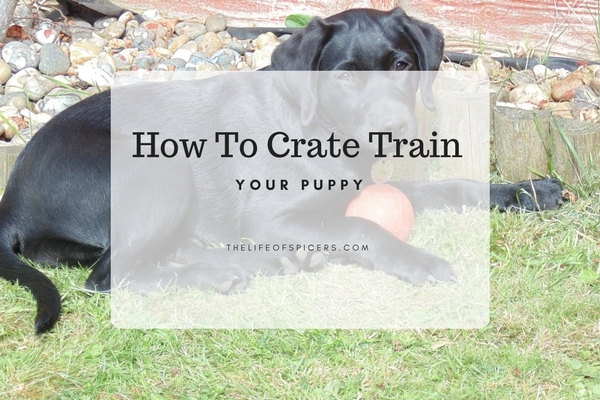 Our lives have become so much easier and we have learned valuable tips for crate training a puppy. Which Size Crate Should You Buy? Our first decision for crate training a puppy was which size crate to actually buy. We needed to decide whether to buy one that that would suit her size as a puppy, or whether to buy the size to suit her as an adult. There are pros and cons to each decision, but with the monetary factors in mind, we opted for an extra large crate which would suit her as an adult. You can buy dividers, which we decided to wait and see how she got on when we brought her home. Puppy’s grow very quickly so if you buy smaller, then you will be replacing the crate within a couple of weeks, which was a big factor in our decision process. We set the crate up in our living room, which we decided that was where we wanted her to have her bed. It’s a good idea to put the crate where you are going to keep it. Our kitchen isn’t big enough to hold a crate and we wanted her to be included in the family so the dining area was out of the question as it’s not an area where we gather as a family very often aside from meal times. Inside the crate we placed towels down to soak up any accidents that may happen and then layers of blankets. This way she would have her scent in the crate to know it was hers, but also if there were accidents in the first few days and weeks we could remove a layer rather than everything. It’s a good time to use up those old towels and blankets, or duvet covers that you may have hanging around. Bringing Lola home for the first time as a puppy, we introduced her to her crate by placing her inside it with the words “on your bed”. We left the crate door open to allow her to come straight back out, and every hour or so we would repeat the process making sure we said the same words to her so she began to understand. The first night she stayed at home, she was placed in her crate with the words “on your bed” and we shut the door for overnight. Crating a puppy for a long amount of time isn’t recommended immediately, guidelines being short periods of a couple of hours at a time unless overnight. We were expecting to get up during those first nights to let Lola out into the garden. Crate training a puppy is great to know you can leave your dog when you’re out without worrying that your house will be chewed up when you get back. We didn’t leave Lola for very long at a time until she was a lot older, but the times when she managed to get hold of a slipper and eat it when our backs were turned told us crate training was a great idea. It’s important to remember that when puppies are small they need regular toilet breaks and plenty of access to drinking water. Crating for us was a way to keep Lola safe overnight, and as she has gotten older it’s been great for when we need to go out. 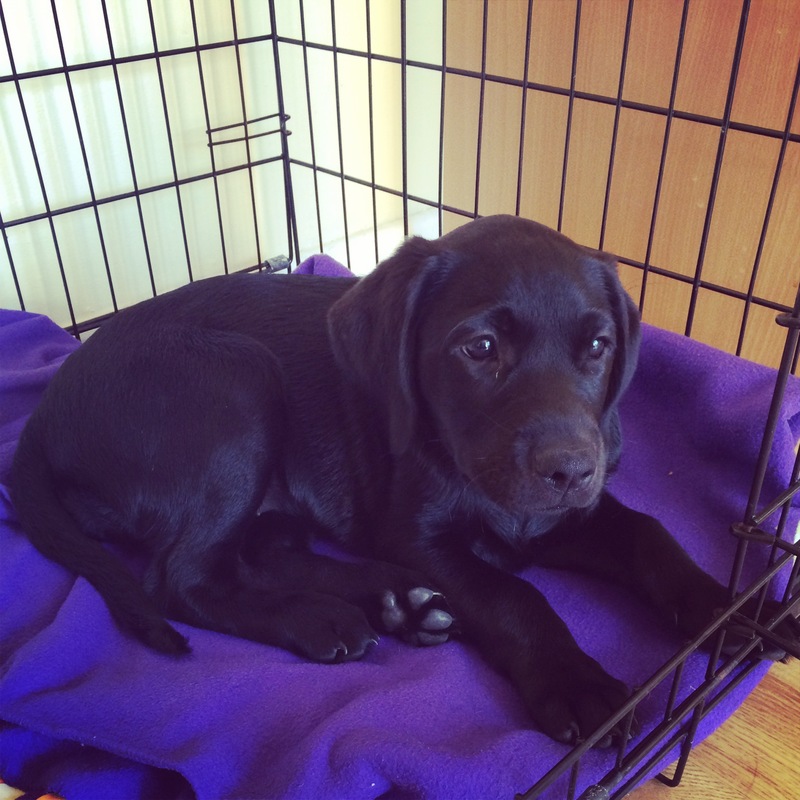 Lola is nearing two years old now, and the benefits of crate training have far outweighed any negatives. She knows the phrase “on your bed” and goes to her crate straight away. She knows that when she goes out for her last wee of the night she comes back in and goes straight in her crate. A crate for a puppy and a dog isn’t a place of punishment, and you should never use the crate as a place to put your puppy when they are naughty. Their crate is a safe haven to them and they must be able to feel safe inside it. We learned that if Lola put herself in her crate then we never removed her from it, it must be her choice to come back out. The only thing we found during the first couple of nights was Lola whining slightly when we put her in the crate and left the room. By ignoring her she understood very quickly that it was bed time and we would be back soon to open the door for her. By doing this early on in her life, we now have a dog who understands what her crate is for, and we are able to leave the door of the crate open now almost all of the time and she will put herself in it when she wants to go to bed. 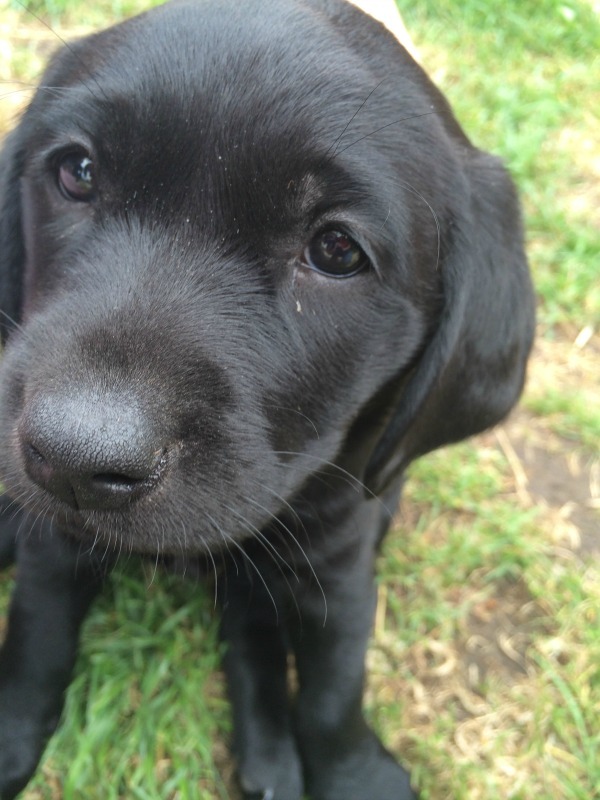 Would you crate train a puppy? **UPDATE** February 2019 – Lola is now five years old and still loves her crate. She uses it daily to sleep in, and every night she automatically goes to her crate when it’s bedtime. We have also taken her crate on holiday, once when we stayed in a caravan, and also when we stayed in a dog friendly lodge. Having a crate on holiday was a godsend because we always knew she was going to have a safe place in a strange environment.